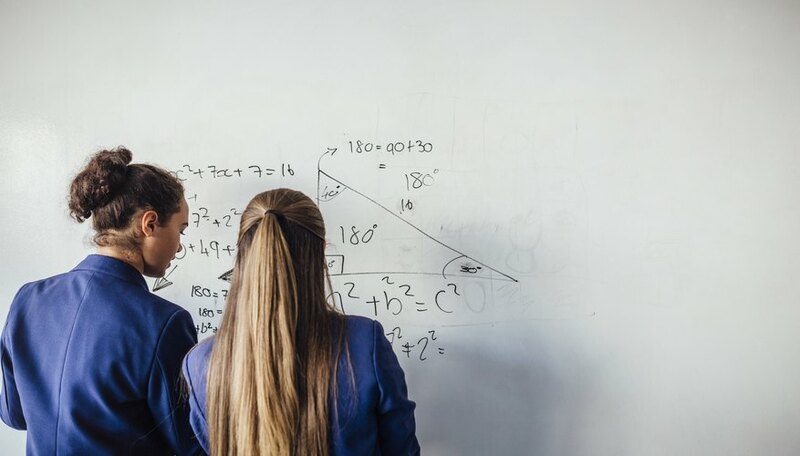 Students are often tripped up by the difference between quadratic and linear graphs. However, the shapes and equations of linear and quadratic graphs are very easy to recognize with practice. The graph shapes are dictated by the equations that create them. Following some simple guidelines will help you to recognize the differences between these equations and their graph shapes. Linear graphs are always shaped like straight lines, which can have either positive or negative slopes. Linear graphs always follow the equation y = mx + b, where "m" is the slope of the graph and "b" is the y-intercept, or the number where the line crosses the y-axis. If "m" is positive, then the line slopes upward from left to right. If "m" is negative, then the line slopes downward from left to right. 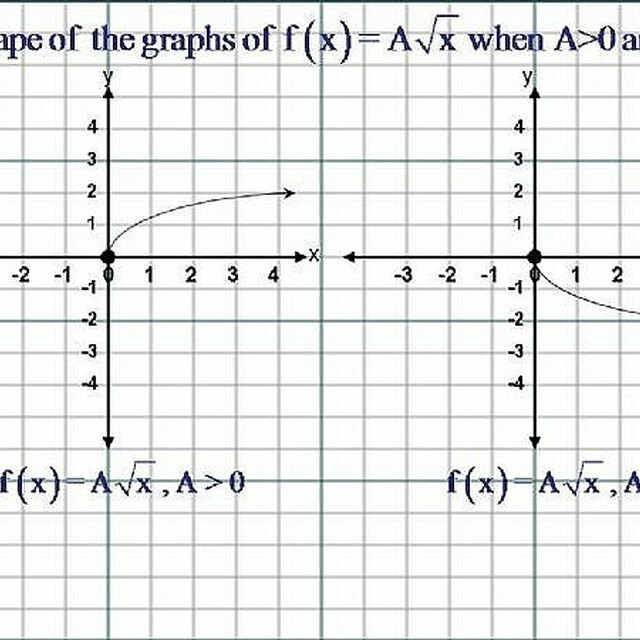 Any line graph acts as a first order equation, which is an equation where "x," the variable, is raised to the first power. In the equation y = mx + b, there is no visible exponent attached to the "x." However, all numbers with no visible exponent are raised to the first power. Therefore, x = x^1 in a linear equation and its graph is a straight line. Quadratic graph forms are always shaped like parabolas, which can either have a minimum or a maximum, depending on whether "x" is positive or negative. A parabola is a curve with a line of symmetry at the maximum or minimum. Quadratic graphs always follow the equation ax^2 + bx + c = 0, where "a" cannot equal 0. If "a" is greater than 0, then the parabola opens upward and we can measure a minimum. If "a" is less than 0, then the parabola opens downward and we can measure a maximum. The equation ax^2 + bx + c = 0 is a second-order equation because the largest exponent in the equation is 2. Therefore, it is possible for a second-order equation to have two answers. In situations where ax^2 and c have different signs, there are two real roots. In situations where If a = 0, then the entire expression is ax^2 = 0. In that situation ax^2 is eliminated and we have bx + c = 0, which is an equation raised to the first power -- a linear equation with a straight line graph. Pinzow, Daniel. "What Is the Difference Between a Quadratic and a Linear Graph?" Sciencing, https://sciencing.com/what-is-the-difference-between-a-quadratic-and-a-linear-graph-12753347.html. 25 June 2018.